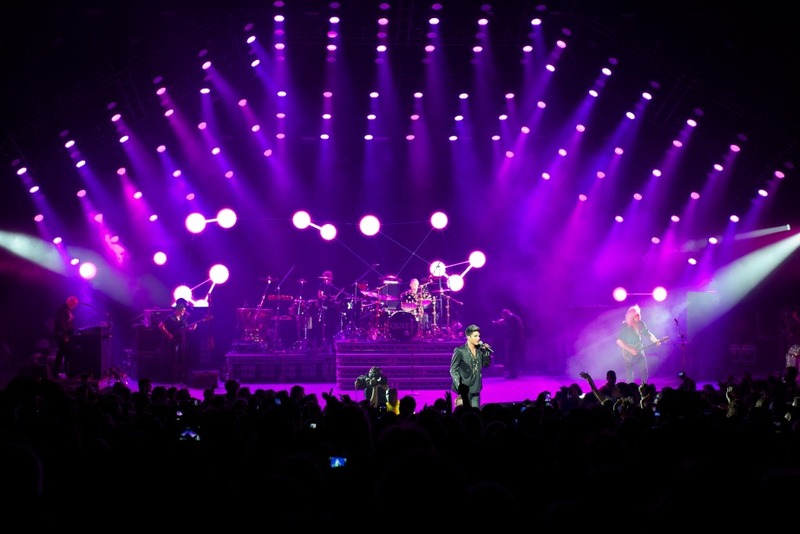 After purchasing from Jands, the L5 flew into Perth to be prepped by the CCPWA crew, and soon turned around and was put on a plane to Brisbane, where it kicked off on UK metal band Bring Me The Horizon’s national tour. As that tour finished up, the desk went straight over to US rockers Fall Out Boy for another lap of the nation. With the incredibly busy Christmas and New Year period upon us, the L5 is still out working hard for CCP. It was on the Perth leg of the huge EDM-based Stereosonic Festival on 30 Nov/1 Dec. 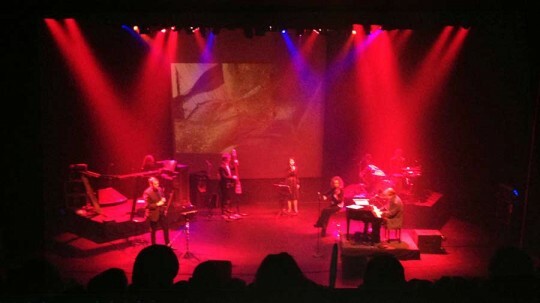 Early in 2014 it will be showing its versatility by working on an opera. Looks like the warehouse crew won’t be seeing much of this workhorse at all in the near future. 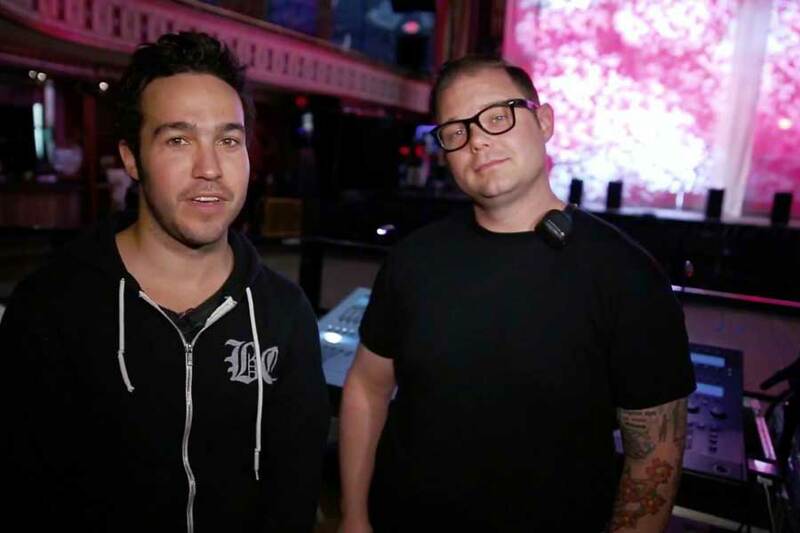 American rockers Fall Out Boy recently toured Australia to support their new album Pax Am Days which reached No. 2 on the ARIA Album Charts. 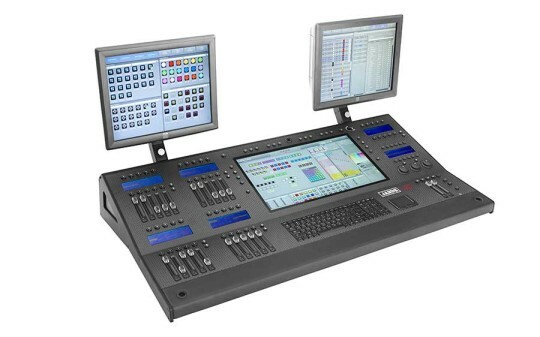 Lighting designer Robb Jibson toured a Vista L5, the latest addition to the revolutionary Jands Vista range of consoles and control surfaces, with a Mac Mini based S3 as a system back up. Robb has been a Vista user for over eighteen months reporting that he was instantly blown away by the simplicity of the interface and the intricate timings that he could dial in. 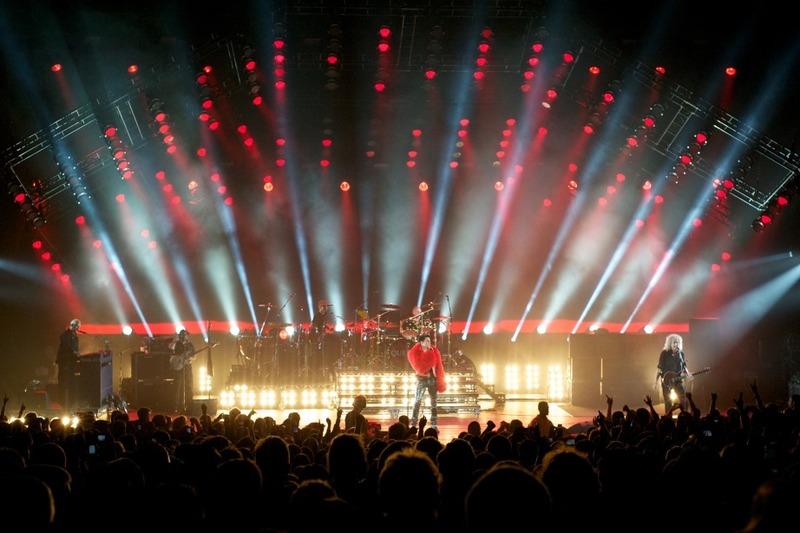 Lighting Designer, Robb Jibson of So, Midwest Inc. is currently using a Jands Vista L5 to control lighting for Grammy award-winning alternative rock band, Deftones‘ latest tour. With extremely limited truck space, Robb requires a control system that can facilitate media server type effects, without the use of a dedicated media server. By utilizing Vista‘s powerful Smart Effects engine in combination with the sophisticated Matrix feature, Robb is able to achieve “stunning” pixelmapping effects using the Vista‘s onboard features alone – saving space, time and money. With timing central to Robb‘s design, he really maximizes Vista‘s powerful Timeline environment, which allows him to get in at the smallest of details “quickly and accurately”. 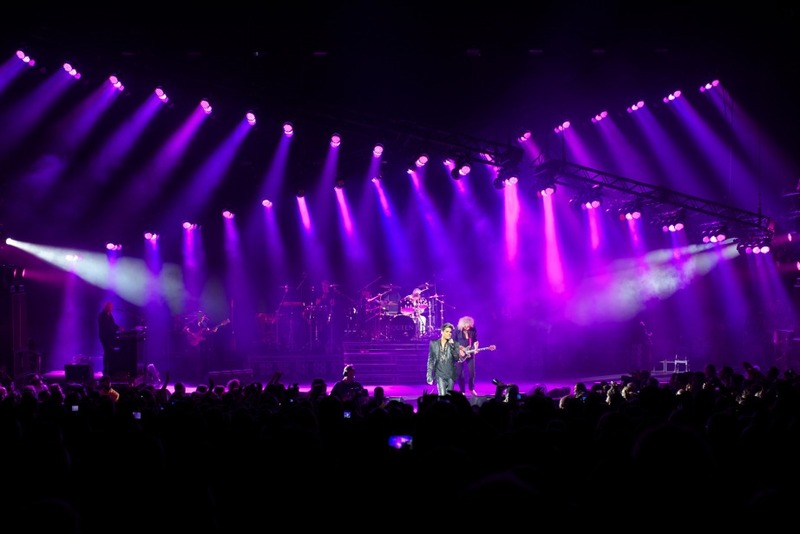 Lighting Designer, Trond Dybfest of Trondheim Lyd Lysverket recently chose a Jands Vista L5 console to control lighting for award‑winning neo‑classical duo, Secret Gardenâ€™s latest tour. With over 3 million international album sales and a Eurovision Song Contest win under their belt, Secret Garden have been touring relentlessly for over 15 years, covering a huge portion of the globe. The first time Trond tried a Vista he was immediately drawn to its powerful, simple operating system, which he found to be extremely intuitive. 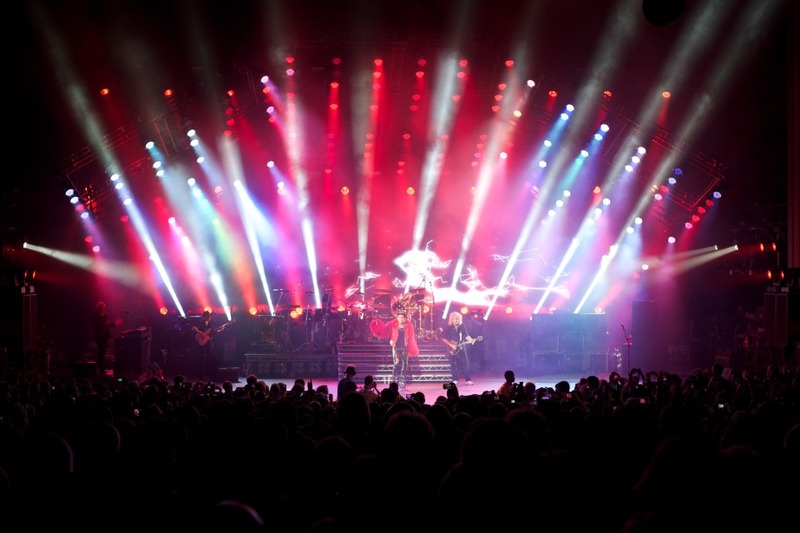 Since then, he has become a keen Vista user, specifying a range of Vista products across his busy schedule of tours and productions. 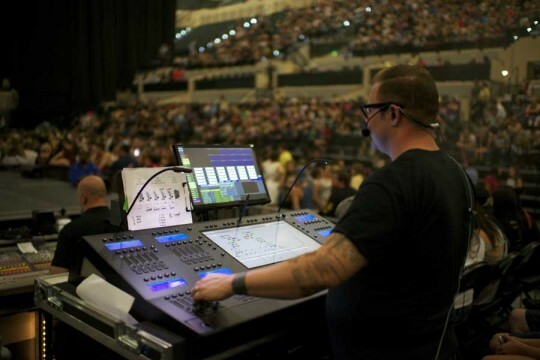 Trond chose the new, flagship Vista L5 console to control lighting and media on this tour knowing that the softwareâ€™s simple, powerful and visual interface would provide him with the flexible, reliable and consistent control he needed. 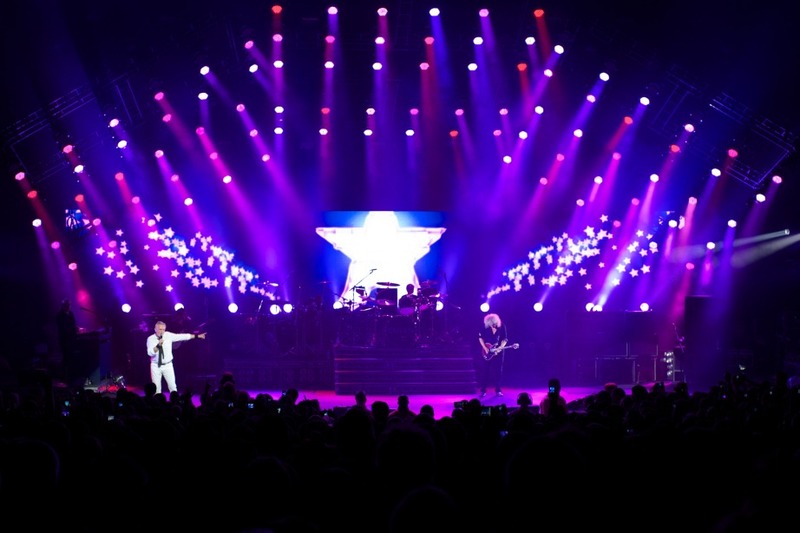 For this tour there was no touring lighting rig, so Trond relied heavily on Vistaâ€™s powerful Fixture Swap capabilities, which allowed him to quickly and accurately swap programming between the wide selection of fixture types he knew he would encounter. Trond comments that he especially likes the Vistaâ€™s Timeline functionality, which allows him to quickly fine tune every detail of his show, providing “endless opportunities to create extraordinary looks”. Trond concludes that he “simply loves working on Vista consoles” and really appreciates the Vista L5â€™s 21 inch High‑Definition TFT screen, which made it incredibly easy for him to access everything clearly on the rig at any given moment. 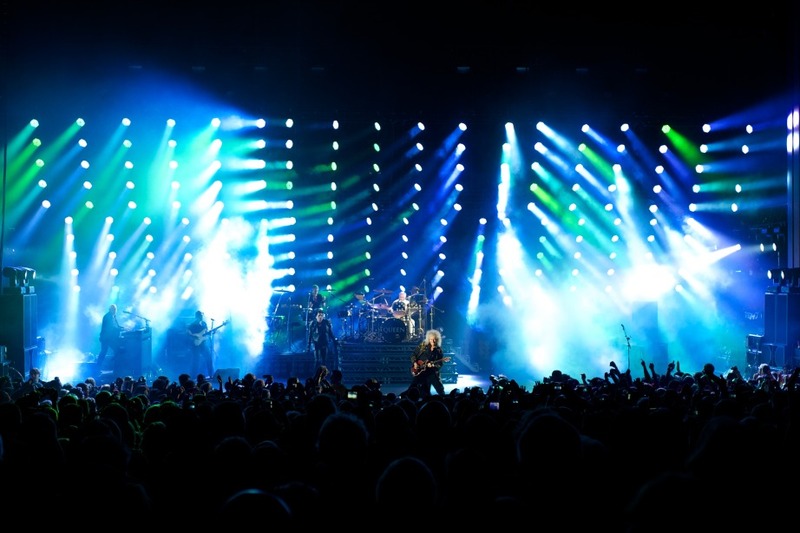 The Vista L5 used on the tour was supplied by Norwegian Jands Vista dealer, Norsk Sceneteknikk. 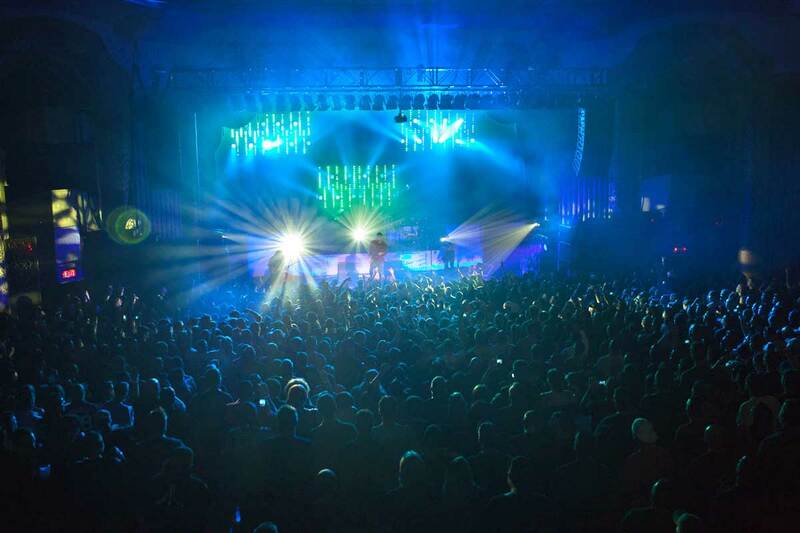 A Jands Vista L5 console was chosen by Chicago based Lighting Designer, Robb Jibson of So, Midwest Inc. to control lighting and media for multi-platinum selling rockers, Incubus. 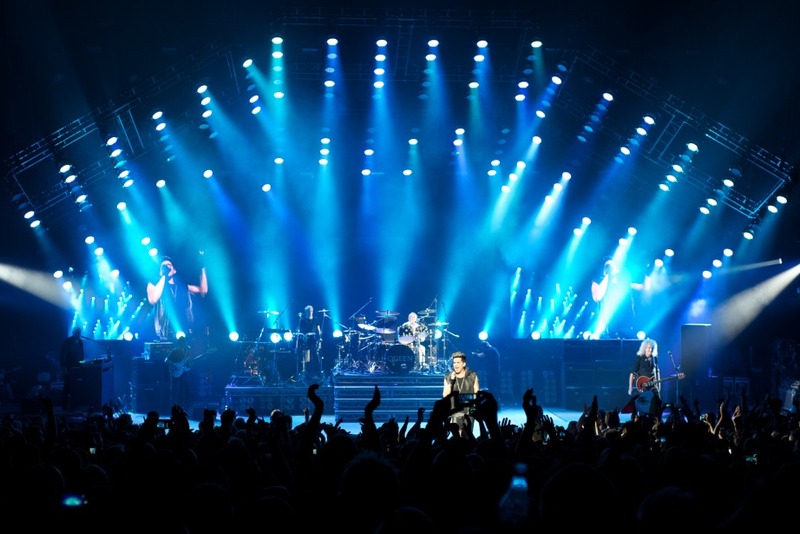 Sharing the headline of the North American 2012 Honda Civic Tour were Grammy award winning rap-rock outfit, Linkin Park. 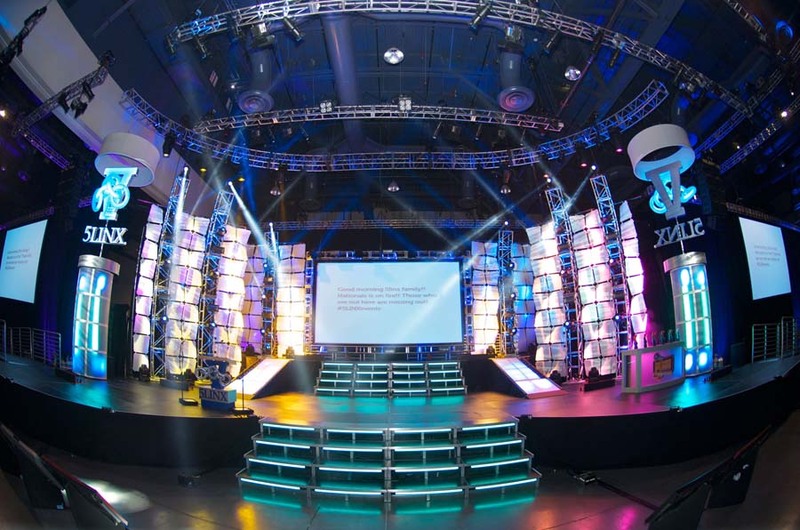 With complex timing changes, intricate programming, an extensive lighting system and multiple video content and input layers, Robb‘s design required a fast workflow, which the Vista’s simple, powerful interface helped him achieve. Timing is central to Robb‘s designs, and he really appreciates the ability to fine tune each detail quickly and accurately using the Vista‘s timeline. The L5‘s design is dominated by its 21 inch High-Definition TFT screen. This comfortable work-surface allows everything to be accessed quickly and clearly on the rig. Ergonomically, “It‘s a great desk” says Robb, commenting that he likes the feel and positioning of the faders plus the ’clicky-ness‘ of the flash buttons. Opening for Incubus and Linkin Park were prog-rockers MUTEMATH, whose LD, Darien Koop, is also a dedicated Jands Vista fan. 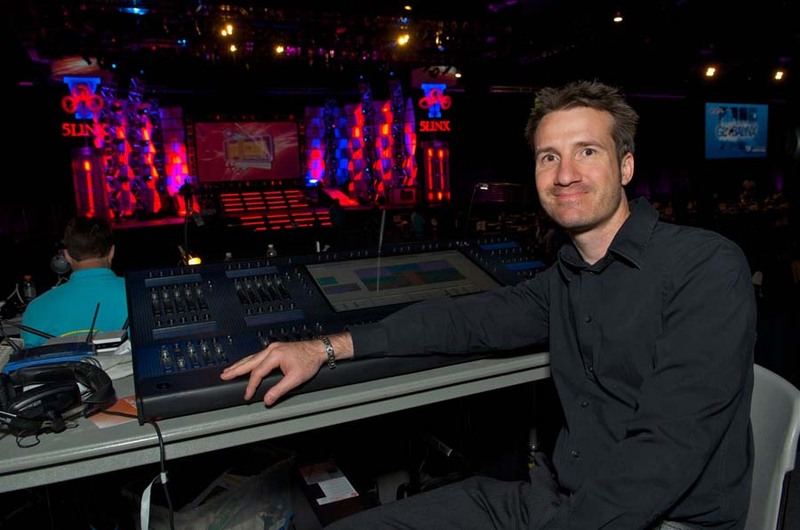 A Jands Vista L5 media and lighting control console, running the latest Vista v2 software, was used by designer Geoffrey Platt to help deliver US telecoms company 5LINX Enterprises‘ corporate vision to over 8,000 sales delegates. 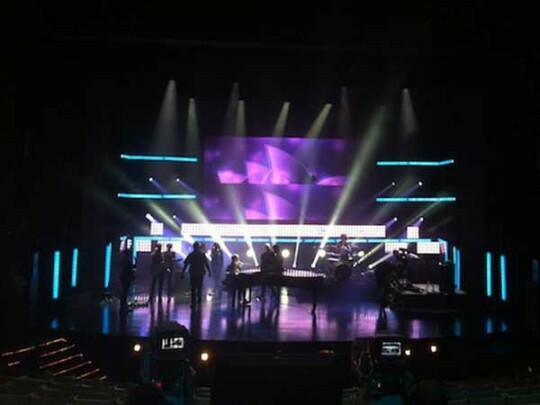 Geoff, of Atlanta based Production People Inc. (PPi), used the Vista L5 with another of the family, a Vista T2, running in full tracking back-up to deliver a stunning stage production featuring video, lighting and LED. 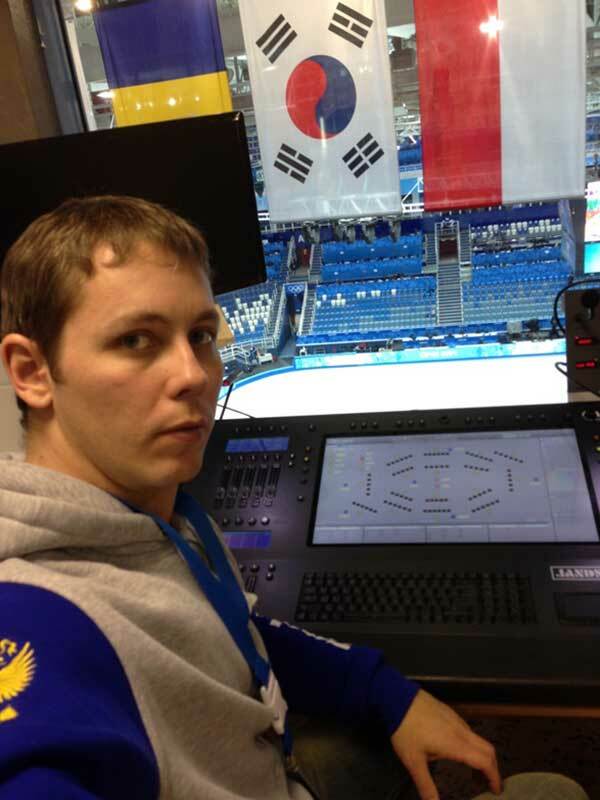 Geoff has worked for PPi for the last five years as a creative and concept designer for scenic, video and lighting. Although he has been an enthusiastic user of the Vista family for a number of years, this was his first chance to use the new flagship Vista L5. Despite the scale and stature of the event, and not to mention the fast pace of the show, Geoff was completely confident that the L5 was the right tool to deliver the precise look and feel he wanted for the presentations. 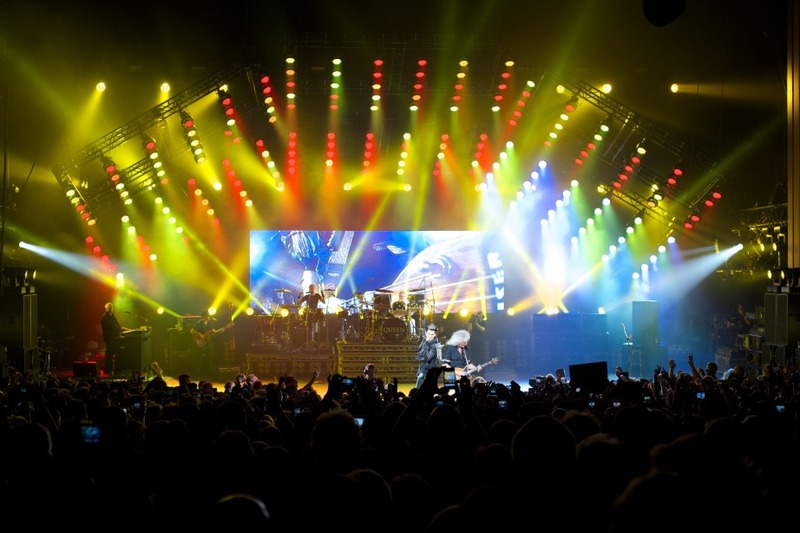 The L5 was controlling over 100 moving lights – a mix of VARI*LITE V*L3000 spots, V*L3500 washes, Martin Professional MAC 250 washes and Clay Paky Sharpys – as well as conventional lightsources and 140 LED fixtures including Chroma-Q™ Color Block™, Philips CK ColorBlast and ColorBlaze, Chauvet Colorado TriPAR and Alkalite Opto Strips. 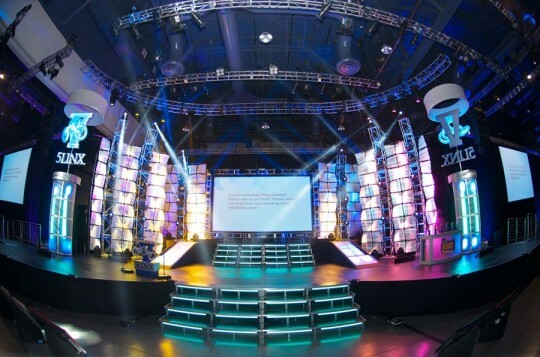 All lighting equipment was supplied by rental company 4Wall‘s Las Vegas facility. Two Catalyst media servers were controlled by the Vista L5 to supply video throughout the event‘s presentations. Geoff absolutely loved the L5 – especially its striking 21 inch, high-definition screen, which made accessing all the elements of the rig both fast and easy. This really assisted with the fast, intense programming the show demanded of Geoff and co-programmer, Greg Haygood. Geoff continues to be hugely impressed with the performance of Jands‘ next generation Vista v2 control platform, commenting that its Effects Engine is “fantastic”. 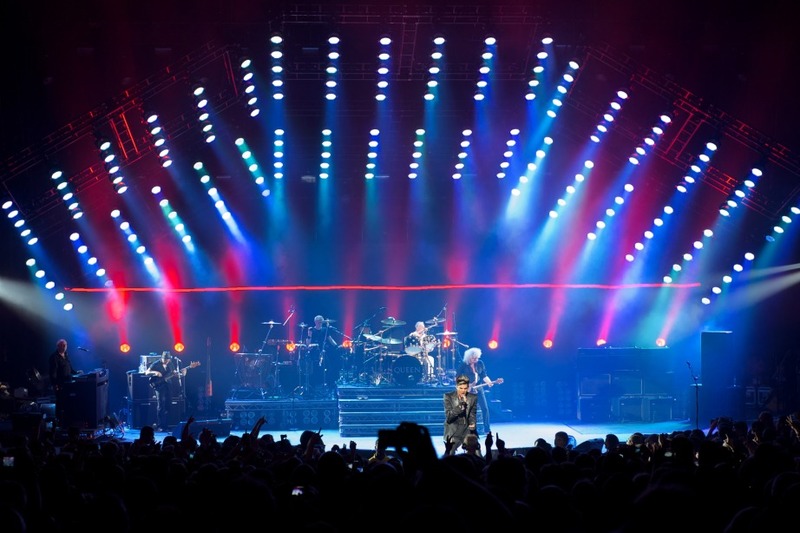 He says the powerful, simple, visual Vista v2 software is invaluable for designing and operating quickly and efficiently on large and complex shows like 5LINX Enterprises, and features such as Vista v2‘s Matrix effects quickly bring extra dynamics and dimensions to the show. A Jands Vista L5 was chosen by leading Lighting and Visuals Designer, Rob Sinclair, to control lighting and media for British rock legends, ’Queen‘. 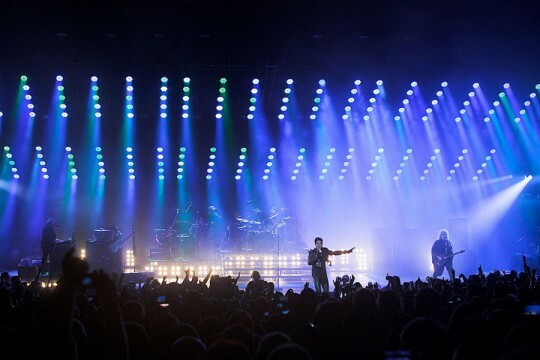 Their recent string of high profile shows featured American Idol star Adam Lambert as lead singer. 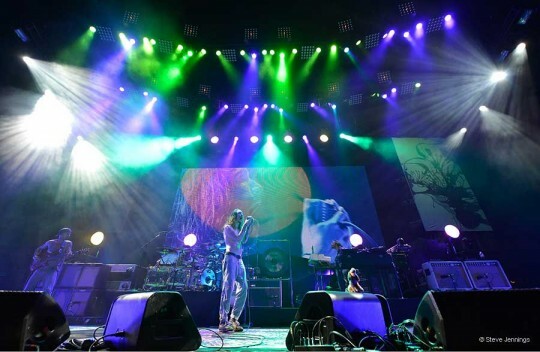 The first highly anticipated show truly tested everyone‘s technical and creative skills. 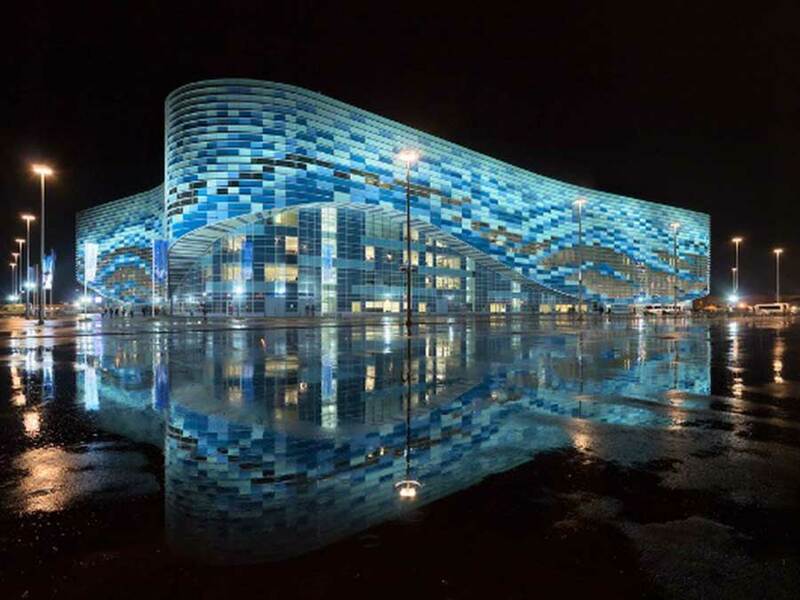 Performed in front of enormous crowds (estimated at up to 500,000 people) in Independence Square, Kiev, Ukraine – the concert was televised live as part of the Euro 2012 Football Championships, as well as being streamed online. Although Rob has been a keen Vista user for a number of years, this was his first experience using the new flagship L5 console. Choosing to do so on a show of such stature and visibility was a real testament to his confidence in the reliability and flexibility of the Vista family. 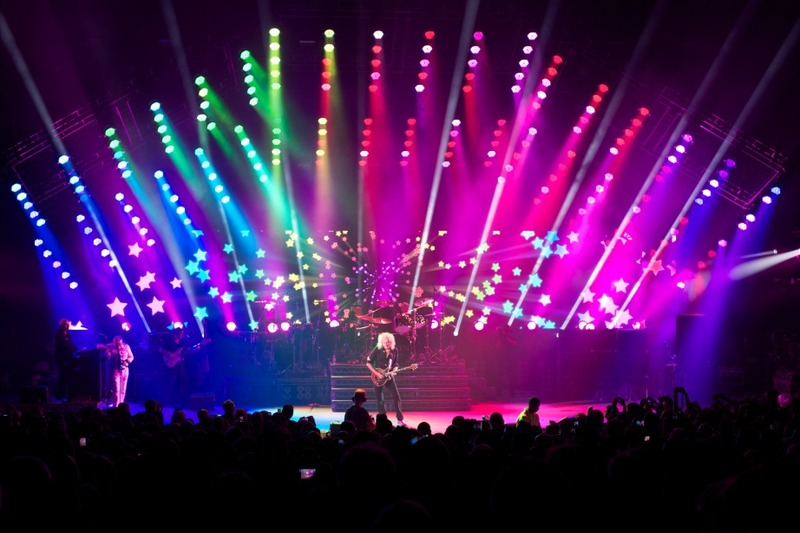 Rob‘s design concept began with the classic look of the massive Queen PAR can rigs of the 1970s and 80s. 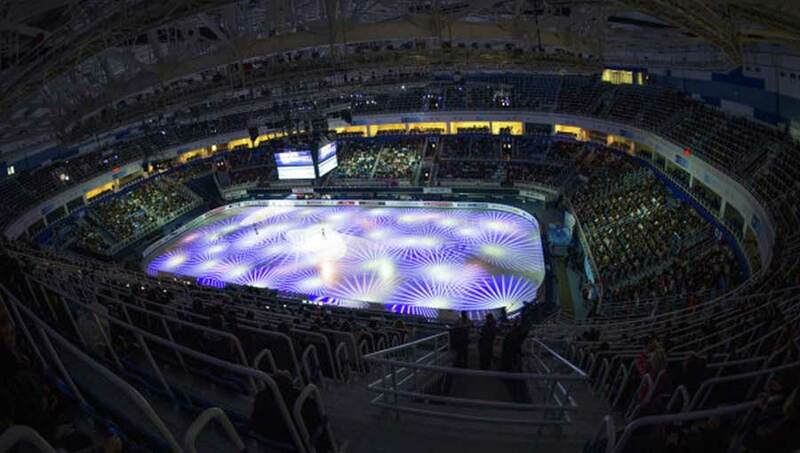 It was then evolved into a stunning contemporary version by taking advantage of the latest LED, automation and control technologies. 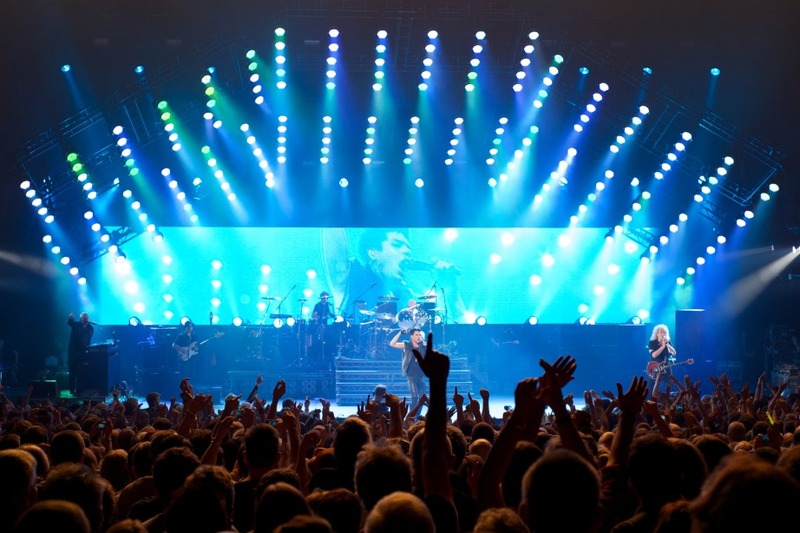 The touring rig featured over 200 moving lights arranged on six moving pods over the stage that were able to shift into different positions throughout the show. Custom video – co-ordinated by Rob – was played back from a Catalyst media server that was also under control of the Vista L5. 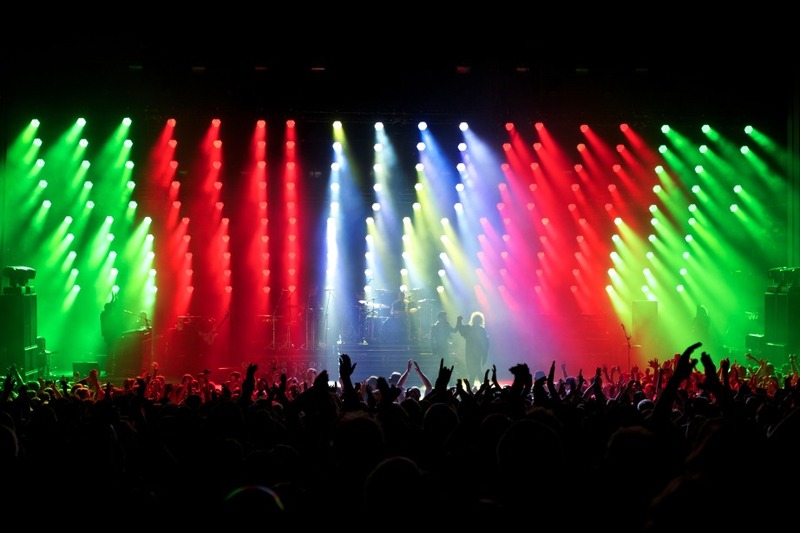 Given the choice, Rob has specified Vista control extensively on his shows for the past few years. As well as Queen, these include Peter Gabriel, Adele, Pulp, Pet Shop Boys, Keane, and Will Young. All photos courtesy of ©Rob Sinclair. Click to enlarge. Jands is pleased to announce the winners of a high-profile competition celebrating the recent launch of its Vista L5 flagship media and lighting control console – the latest addition to the exciting Vista range. 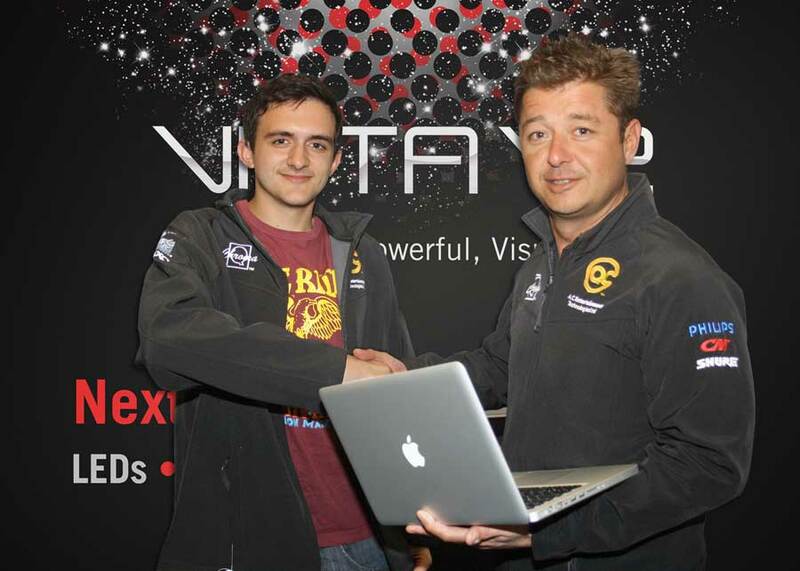 The competition to win a MacBook Pro running the innovative Vista v2 software was sponsored by Jands’ distribution partners for Europe & the Middle East – A.C. Entertainment Technologies (AC-ET) Ltd. – and North America – A.C. 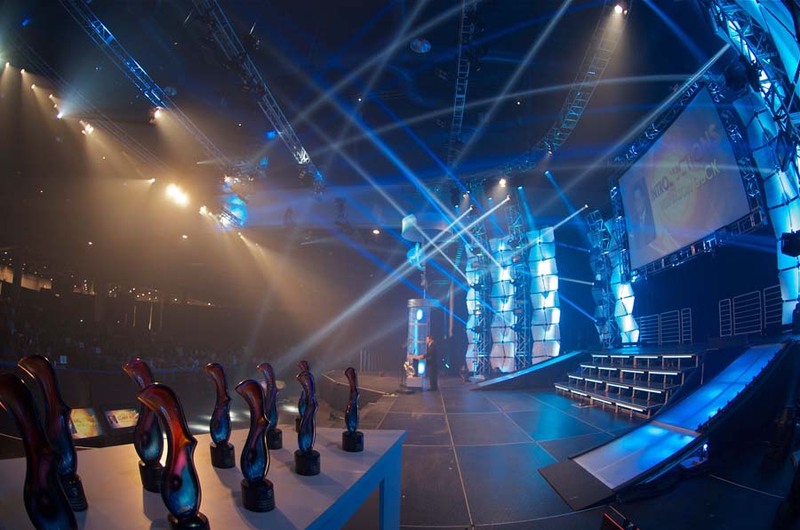 Lighting Inc. – and open to industry professionals in these territories. The competition proved extremely popular, with an overwhelming response from professionals in many countries and industry sectors. This reflects the high level of interest in the Vista L5, which received its official trade show launch at the Prolight+Sound 2012 exhibition in Frankfurt in March. The lucky winners, who were selected at random from the entrants who correctly answered the competition question, were David Weeks from the UK and Andrew Anguiano from the US. David Weeks works at the 1500 capacity live music venue, 53 Degrees in Preston, UK. When David visited AC-ET‘s Northern office in Leeds to collect his MacBook Pro, he received a full product demonstration on the Vista L5 after which he was left even more amazed by it. 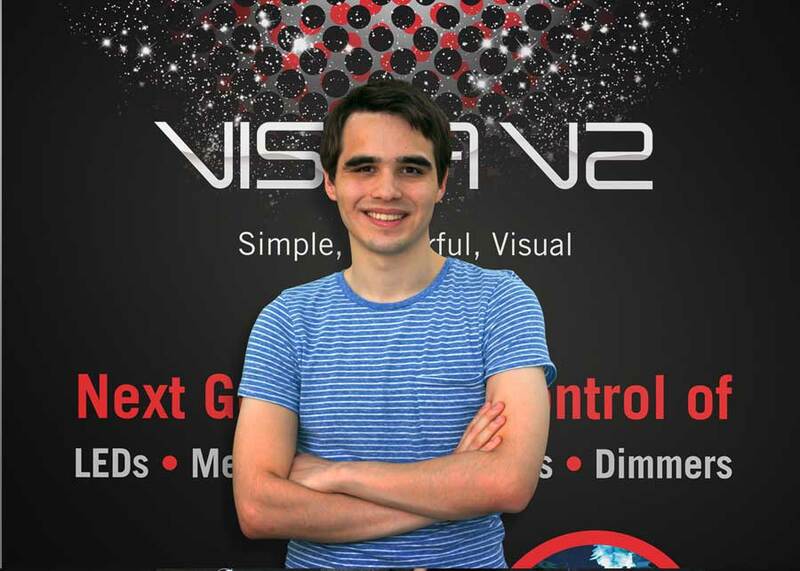 The North American winner, Andrew Anguiano is a sophomore in college and lives in Fort Wayne, Indiana, US where he also works at the Life Bridge Church co-ordinating technicals and media. 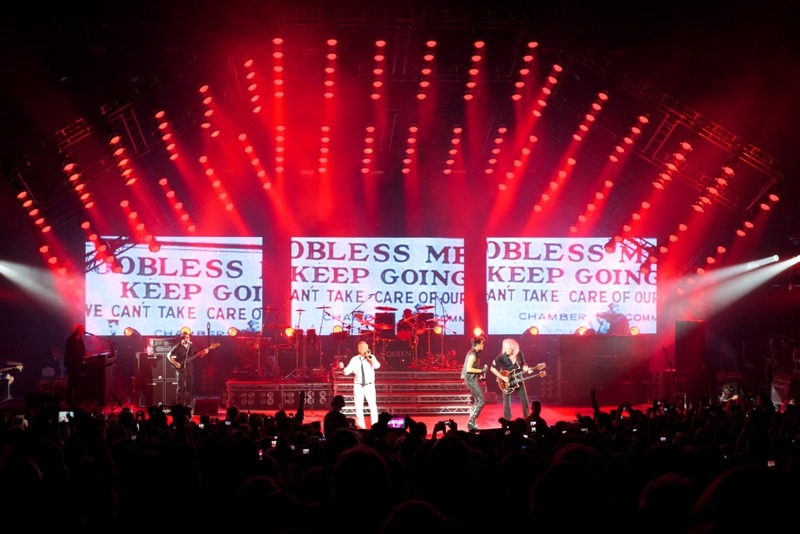 He has had considerable experience with Jands Vista and regularly creates shows using a Vista S3. He intends to continue using Vista and is looking forward to gaining more experience across the range. The new Vista L5 media and lighting control console was designed by listening to the creative people who deliver some of the most stunning shows worldwide every day. It’s features include a 21-inch High Definition Wacom pen tablet for easily managing today‘s lighting rigs – including large numbers of moving lights, media servers and LEDs, as well as the tools to control any design simply, powerfully and visually.